How Valuable is My Bottle? It can be very difficult to answer the above question. Thankfully, there are experts and reference resources which can help. But, in the end, the truest answer is: It’s worth what someone will pay for it. With that being said, for those of you who may be new to the hobby, we’ve assembled a checklist which we hope will help give you a general idea as to the value of a particular bottle. Remember that, even though a bottle may not be considered valuable to us, it doesn’t mean that there aren’t others who may consider it of some value (an Ebay audience for example). And, of course, what is beautiful to you, or has sentimental value, is priceless. 1. Does the bottle have a threaded top? 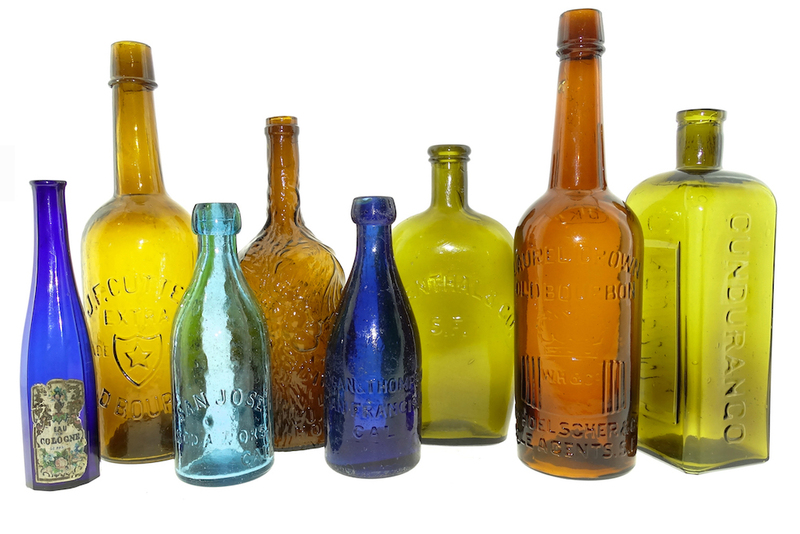 These bottles are referred to as “screw-tops.” A bottle with a screw-top was almost surely made by an automatic bottling machine, sometime after 1910. Since American Bottle Auctions specializes only in bottles made before 1900, we would not be interested in these bottles. Your best bet would be to contact local antique stores, or search for buyers online. 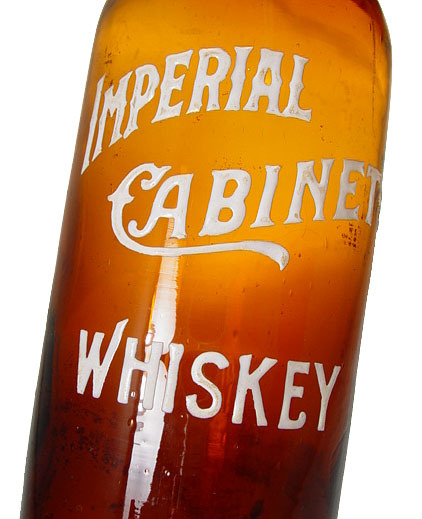 Bottles of this type are generally of little, or no, value (although, there are a very few examples of pre-1900 bottles with crude threading that do have a good dollar value). Move on to next question. 2. Does the bottle have a very recognizable brand name, like “Clorox”, “Lea & Perrins Worcestershire Sauce”, “Listerine”, “Lysol”, “3 in 1 Oil”, etc? There were so many of these bottles manufactured, that they are not of appreciable value. American Bottle Auctions generally needs a bottle to be worth a minimum amount of money to make it financially worthwhile to handle. 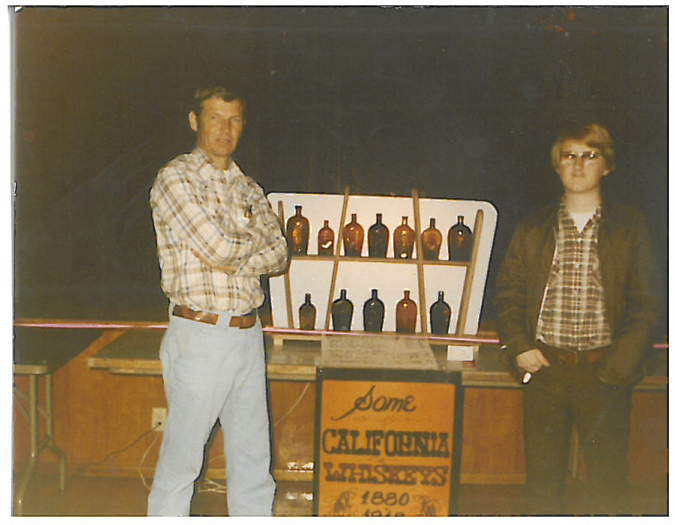 Because of this, we would not be interested in auctioning, or buying, these bottles. 3. Is the bottle embossed (have raised lettering or graphics)? If you’ve made it this far, you MAY have a valuable bottle. If you’re interested in selling or consigning, please call us at 1-800-806-7722, or email us at appraisals@americanbottle.com. If you can email us a digital photo of the bottle, that would be very helpful. You may continue down the checklist to learn more about the value of the bottle. In general, bottles which are embossed are more valuable. Sometimes, a paper label may be placed directly over the embossing. Un-embossed bottles are normally not worth much money. Because of this, we would not be interested in auctioning, or buying, these bottles, except in rare cases. However, we would be interested in colored ink wells without embossing. 4. Is the bottle clear, or aqua, in color? 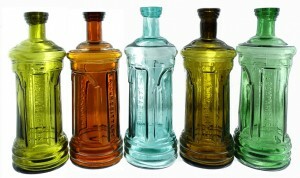 Most bottles are aqua, the natural color of glass. This is the color you get when you mix together the basic ingredients to make glass. Aqua is a very light, clear blue (like fresh water). In the world of bottle collecting, color is king. Blue, green, amber, puce (or a grayish purple) are desirable, as are many other colors and variations of colors. Clear, or aqua-colored, bottles are less valuable. But there are some valuable bottles which are clear, or aqua. 5. Is the bottle broken, chipped or cracked? Bottle condition is very important. Even very rare and valuable bottles can be considered virtually worthless if there is severe enough damage. If the bottle is rare, and the damage is quite minor, it still may have considerable value (though much less than if it were in good condition). 6. Does the bottle have a pontil? A pontil is a circular area on the very bottom of a bottle. It’s where the bottle was broken off from the rod during manufacture. Sometimes a pontil will appear as an iron or graphite circle. Other times it is represented by a sharp jagged area of broken glass, called an “open” pontil. 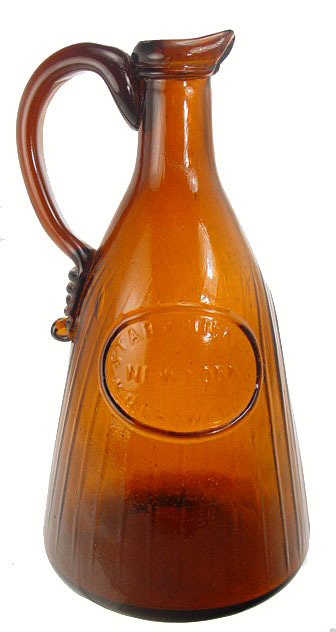 If a bottle has a pontil, chances are that it was made before 1860. A pontil doesn’t guarantee that a bottle is valuable, although it’s good sign, because it generally means that it’s old. Also, a bottle doesn’t have to have a pontil to be valuable…there are many valuable bottles that don’t have pontils.